We have revamped our classic small spot tie collection with new colours and bulkier 100% pure silk. Thicker un-weighted silk allows you to tie a good looking knot with ease. 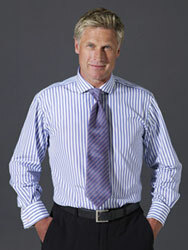 Our Navy and Pink Small Spot tie will match with many shirts in our collection.